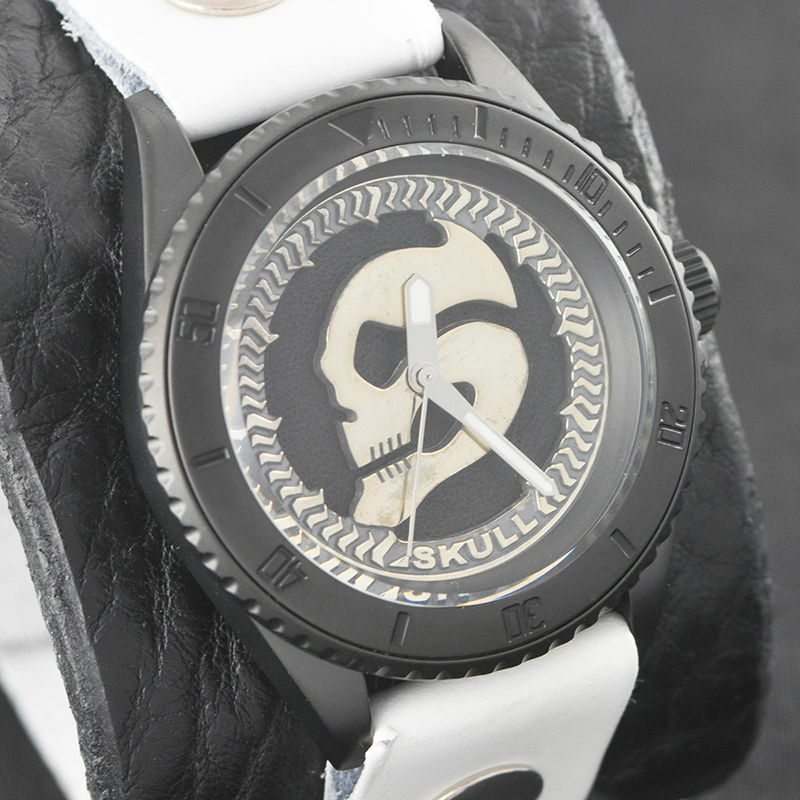 The Kamen Rider Skull that was sold in Japan back in 2010 has now returned after an upgrade! Red Monkey boutique leather products is based on ROCK SPIRITS but has its own unique touch. The leather products made by American factories leather-workers take on their own distinctive character over time. Tooling marks left here and there makes each product subtly different. Wear it and you know that it's "made for you." The last and most important step is the addition of the Red Monkey mark. This is of course applied by hand as well. Despite it's international popularity, Red Monkey remains committed to making high-quality products by hand. That is why Red Monkey is so popular with celebrities and actors. The Black Box (actual wrist watch) is a premium diver's watch aimed at a more mature audience. The dial and watch feature special 1.2mm high bumps. A diamond coating is also applied for scratch resistance. 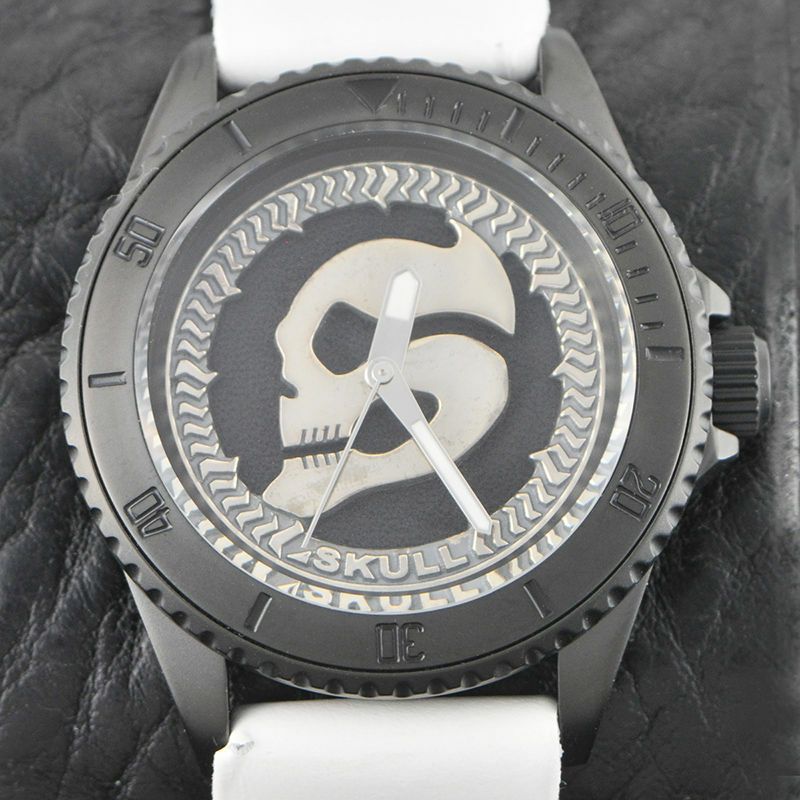 The dial features the "Skull" mark and the materials include Silver925 that Red Monkey is adept at working with. This is a high-end product that makes clever use of bumps and indents. The mold and actual production were all hand-crafted by Japanese silver-smiths. The weight and thickness of the silver it'self is retained while maintaining a suitable balance between strength and flexibility. The base has been upgraded through the use of black leather. Silver and white were then used for the needles to provide contrast. The internal mechanism is made in Japan. Threaded fitting as used on premium wrist watches were used as well. 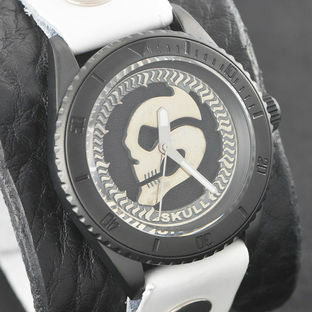 The leather of the rear cover is carved with the Skull mark and copyright. Each leather watch band is crafted by hand at the American workshop. 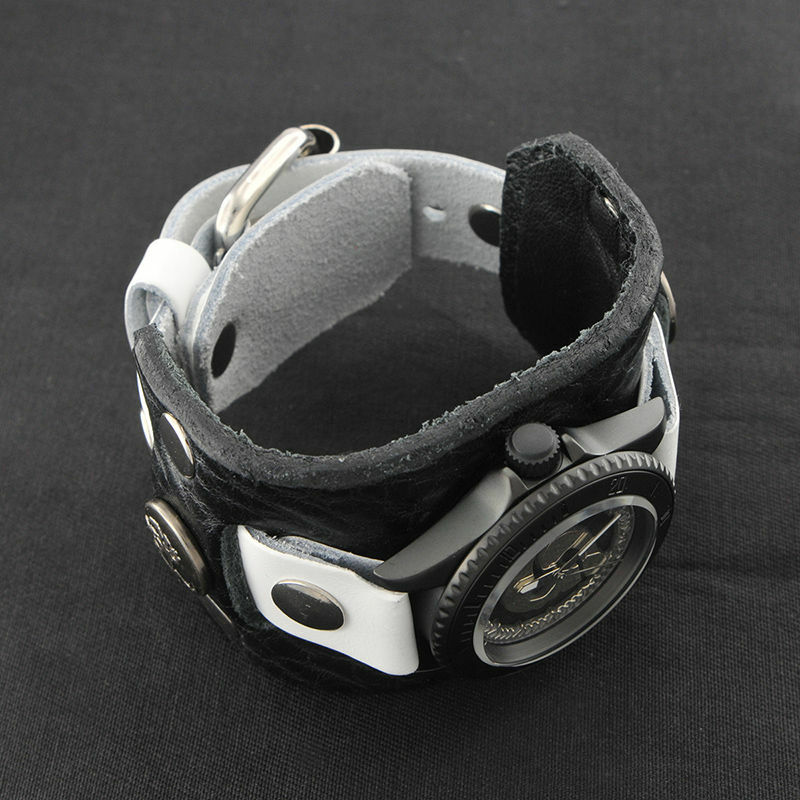 Monkey snaps are attached to either end of the 53mm-wide watch band. This is the unique design that Red Monkey is known for. 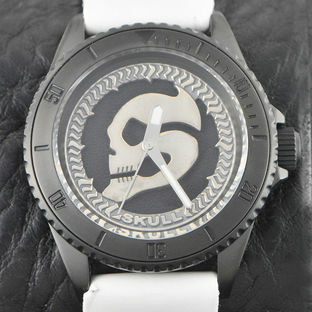 The black and white wrist watch complements the Kamen Rider Skull motif. So high-quality leather was used. *Leather is a natural material that will experience wear and tear through normal usage. The dyeing process may lead to whitening of the leather. Please note that is due to the nature of leather it'self and cannot be avoided. *This is a hand-made product so every item including the leather will have its own unique feel. This uniqueness is what makes hand-made products special. *Tooling marks were deliberately left on various parts of each product to emphasize its hand-made nature. 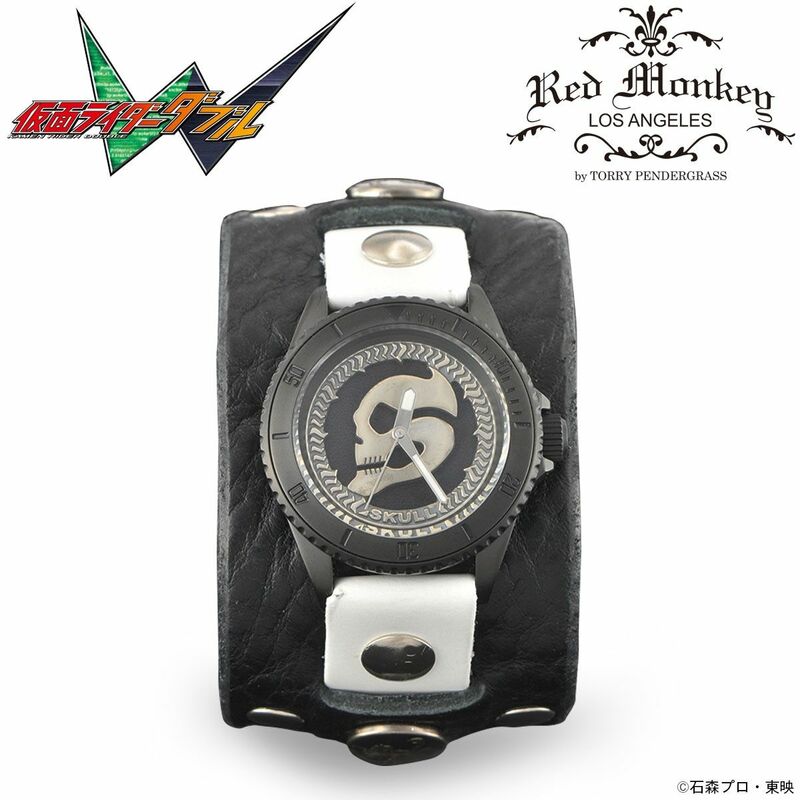 This is a feature of the Red Monkey brand. *Please note that the product may cause itchiness and swelling in certain people especially those allergic to metal. If you experience any skin issues please remove immediately seek medical advice. 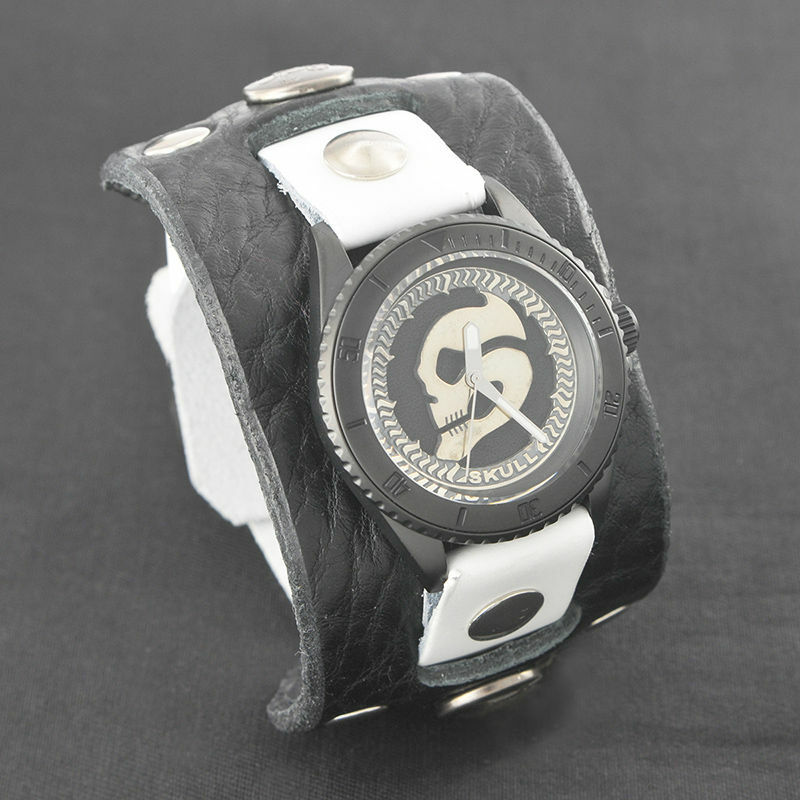 ※Slightly different of each leather watch band since it is crafted by hand.